After successfully completing this course you should understand the function and operation of the KQS system. KQS description (click the link to read the full text). 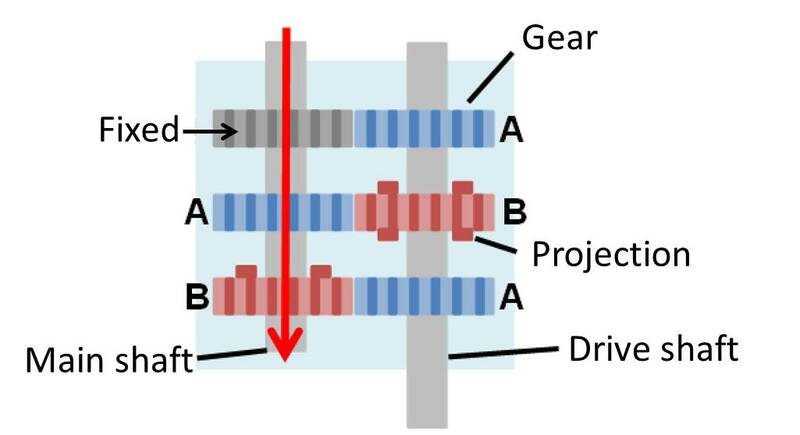 Gear B: Rotates with and slides along the shaft. 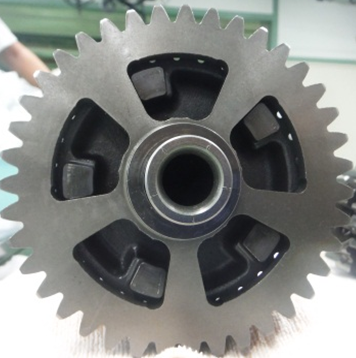 Therefore power (driving force) from the engine is not transmitted to the drive shaft. 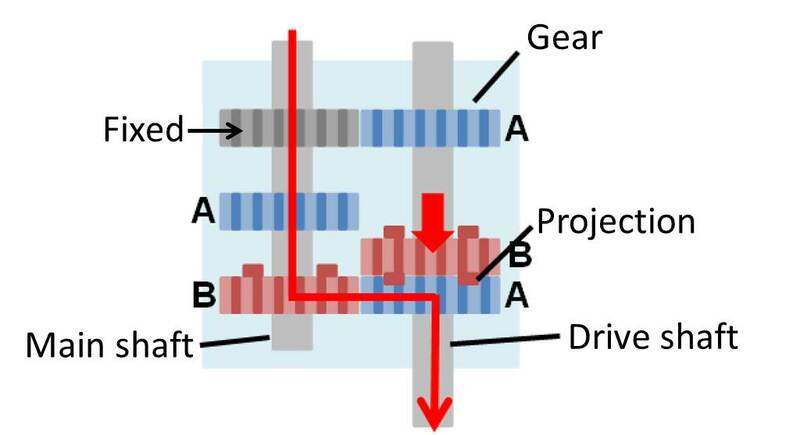 "Gear B” slides to “Gear A”, and the projections are inserted into the “Gear A” fixing it to the shaft. The power (driving force) from the engine is transmitted through the main shaft to the drive shaft and rear tyre. 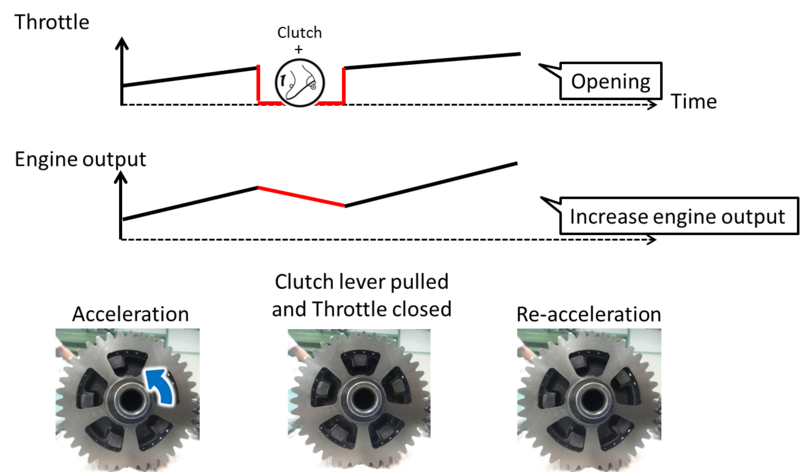 During acceleration or deceleration shifting is not possible because of the friction force acting on the gear projections. 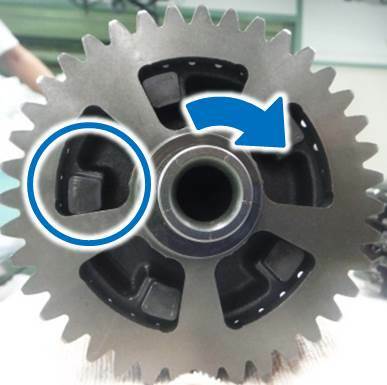 When the throttle is closed the friction force is reduced allowing the gear to be shifted. 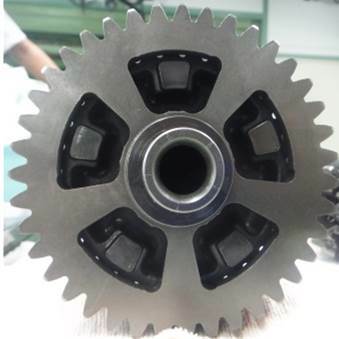 Select which gear has friction force acting on it. KQS is a system that allows the gears to be shifted more quickly with less rider effort. Up-shifting can be done without operating the clutch or closing the throttle. 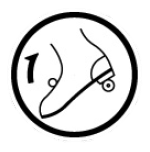 Down-shifting can be done without operating the clutch or opening the throttle. A hall effect sensor is added to the gear shift linkage. When the rider up or down shifts it is detected by the sensor and it sends a signal to the ECU. Reduces the engine output by controlling the fuel injection and ignition timing. This has the same effect as closing the throttle. Increases the engine output momentarily by “blipping” the electronic control throttle. This has the same effect as pulling the clutch. ...engine RPM is below 2500 r/min. ...engine RPM is too high (for KQS downshift function). ...the throttle is open(only for KQS downshift function). ...the throttle is closed (only for KQS upshift function). 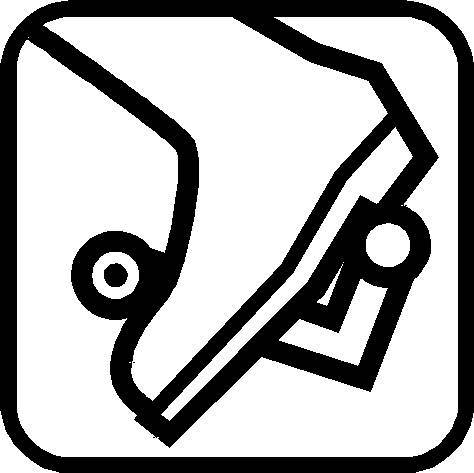 Following any up or down shift the shift pedal must be fully released before another KQS shift can be made. Which of the following must happen for KQS upshift to work? KQS function must be turned on.